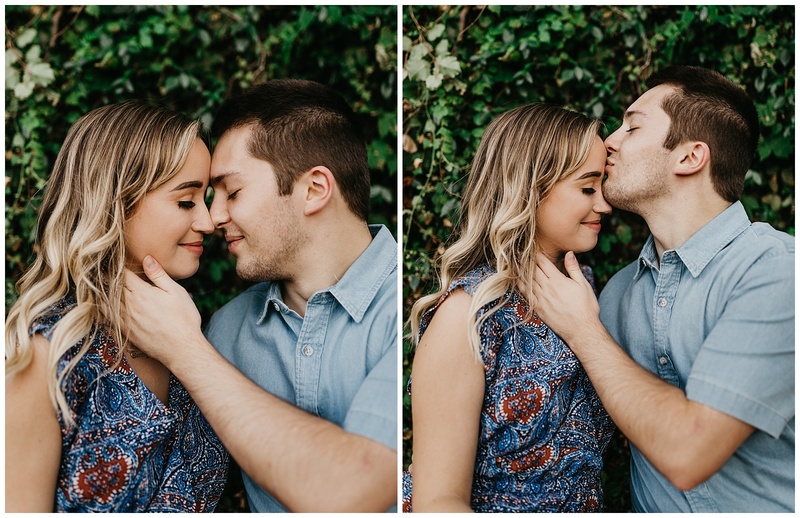 Ellie and Jonathan are the kind of people that when you meet and chat it up for a little bit you go ‘oh, we’re the same’. 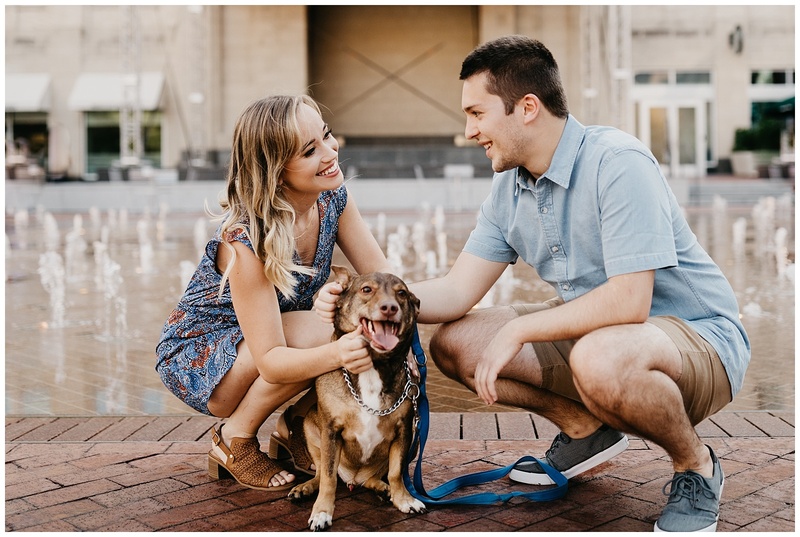 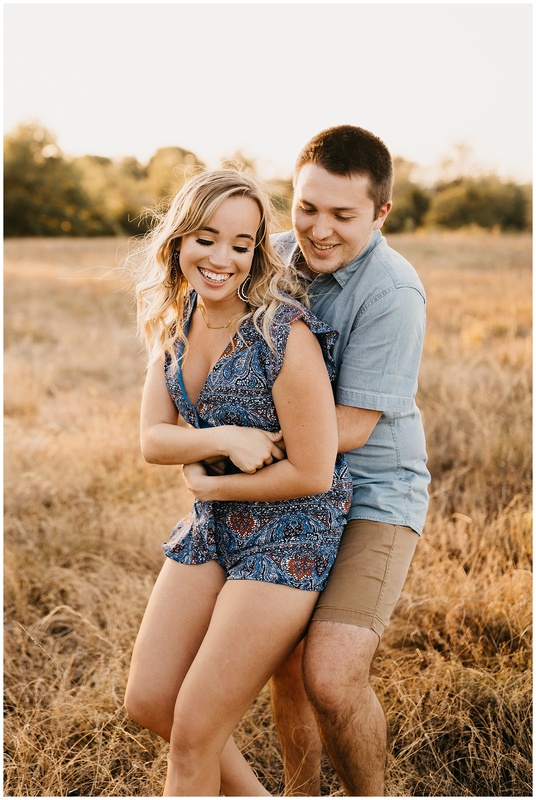 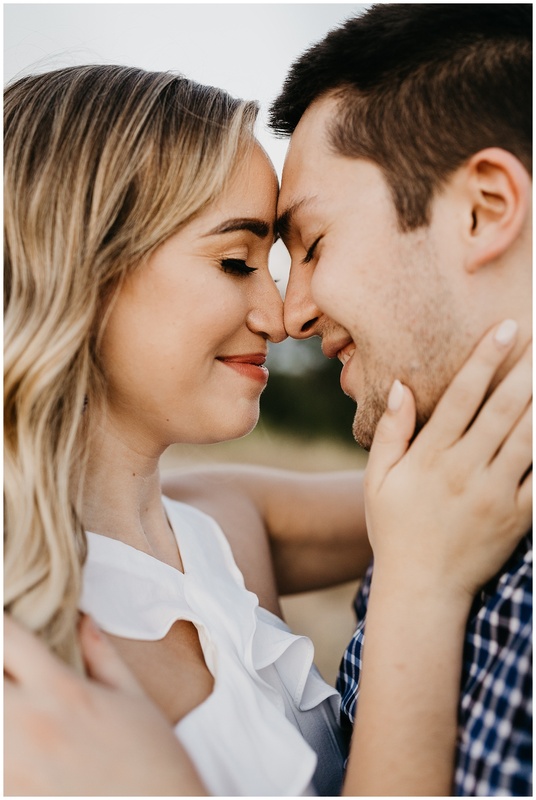 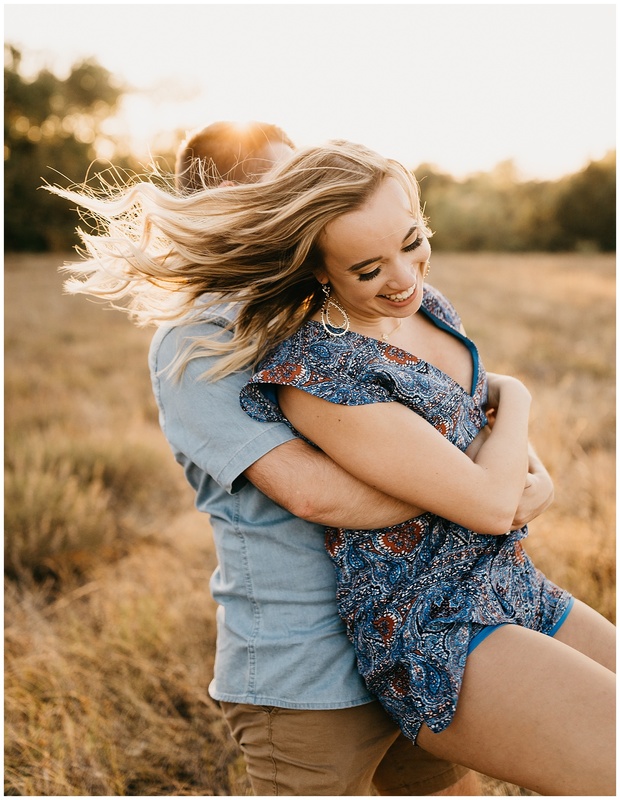 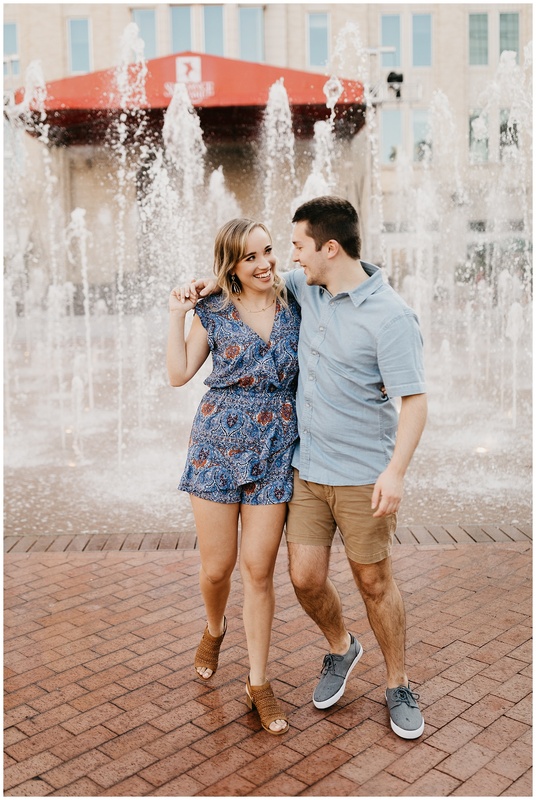 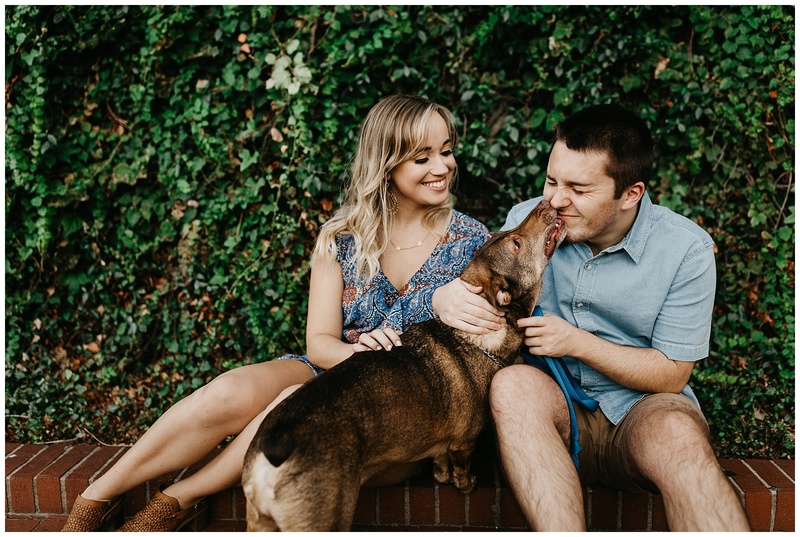 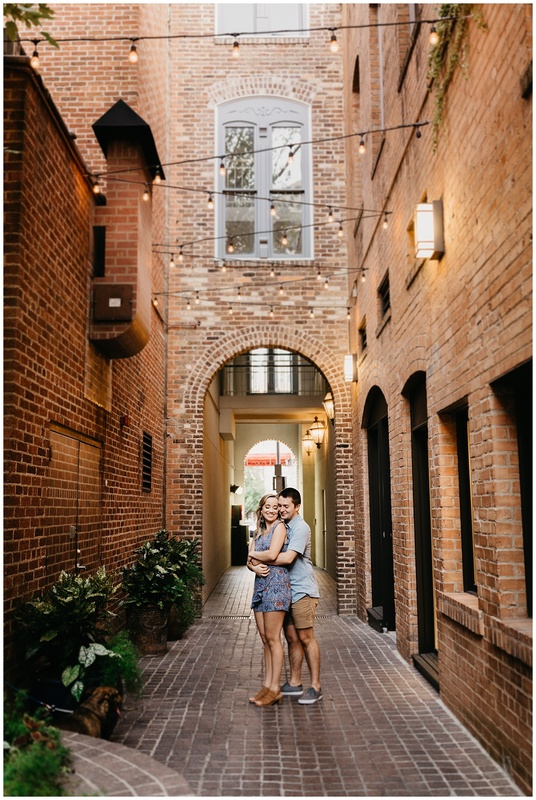 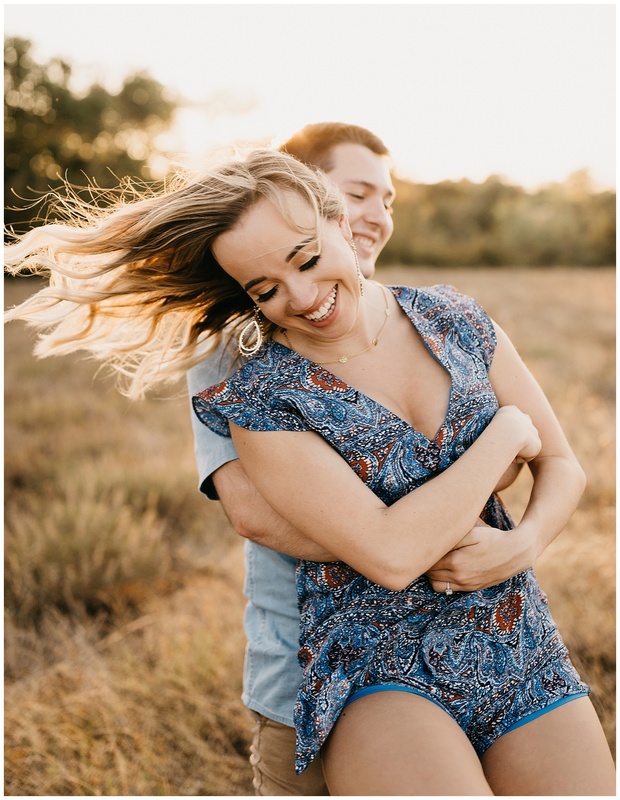 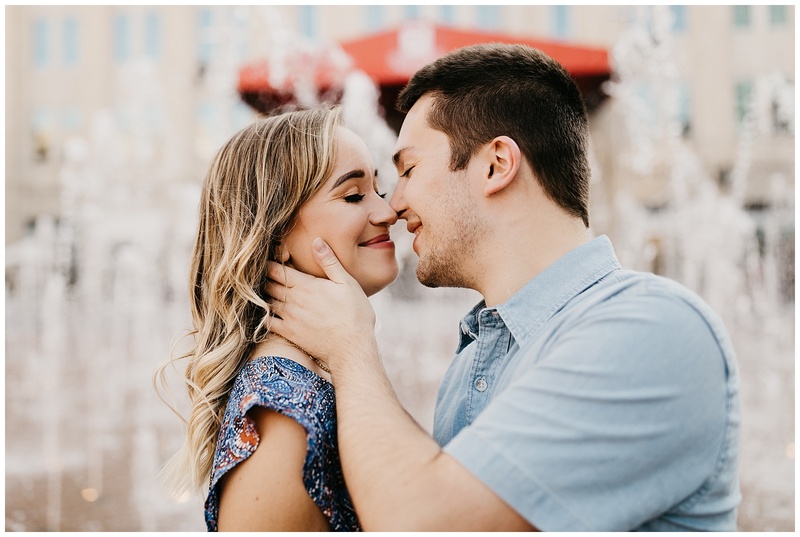 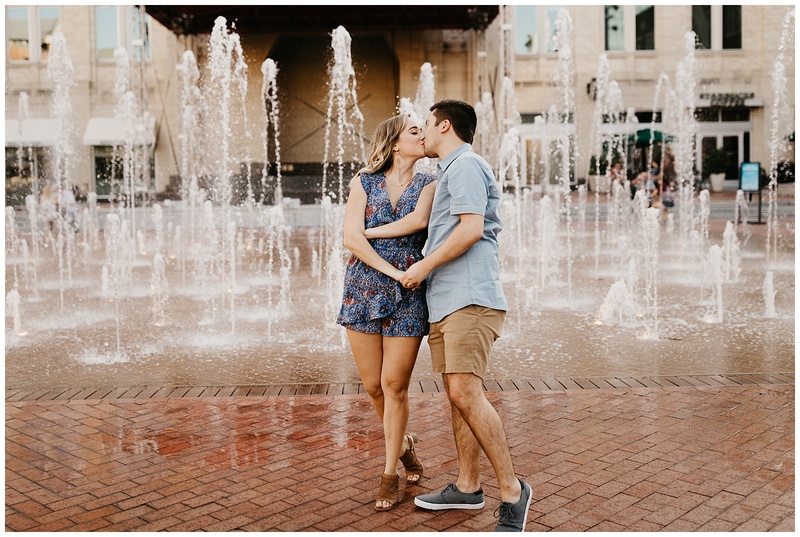 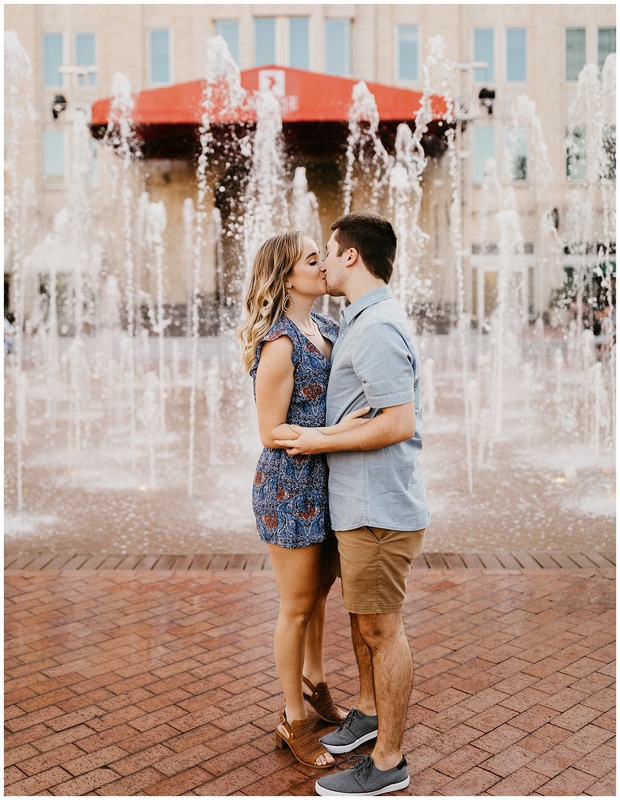 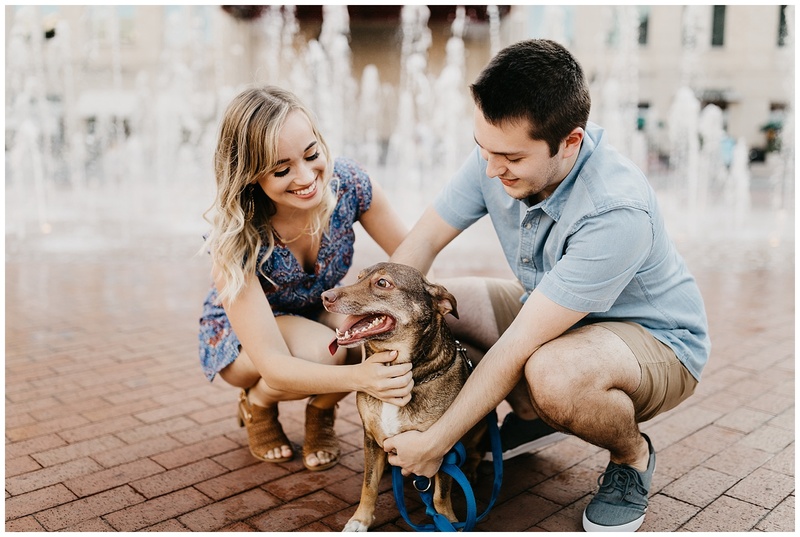 These two and I hit it off right from the start because they are kind of people and I was 10 levels of excited to fly down to Fort Worth for their engagements. 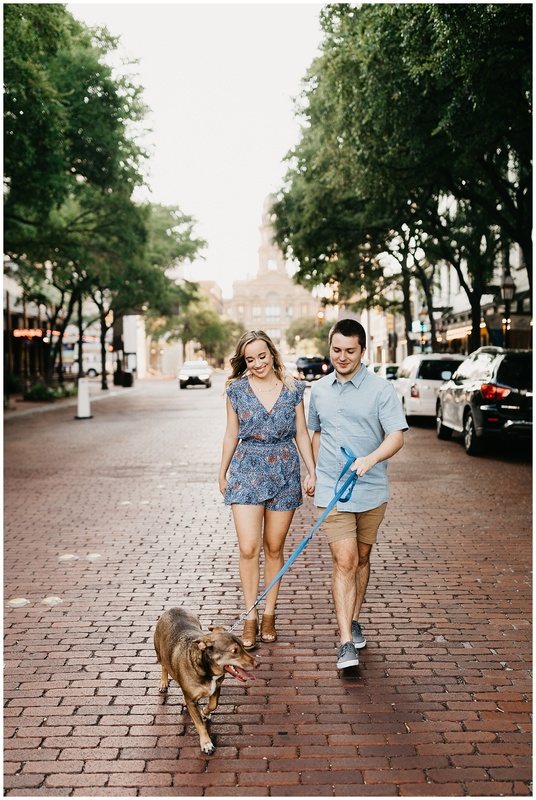 We met at their apartment so I could get acquainted with Ellie’s rad closet and the two loves of their lives, Samson the dog and Schreiner the brand new kitty who is a little bit evil, before hitting the town. 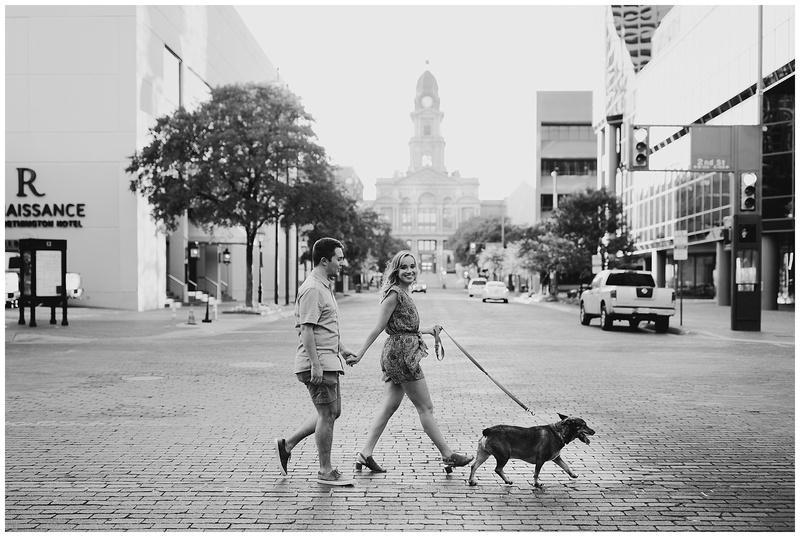 Sundance Square in Fort Worth was our first stop where we partied around in Fort Worth’s prettiest architecture before heading to Tandy Hills, which is this tiny spot of what is apparently ‘original prairie land’. 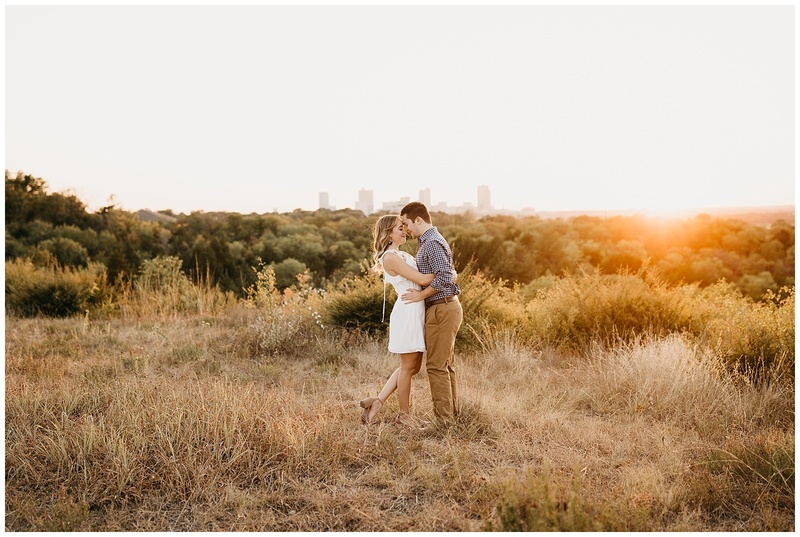 While I love nature and everything about it I know now why people tried to conquer the prairie when coming out west because everything in that bit of grass hurt and scratched. 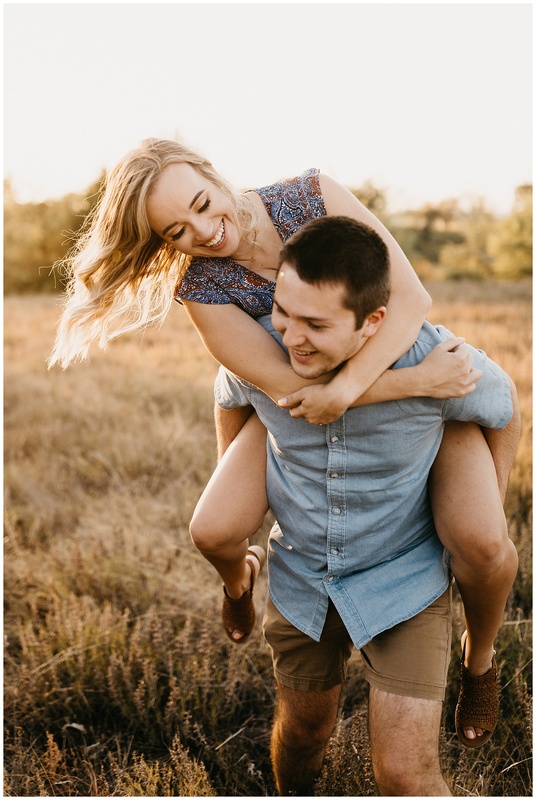 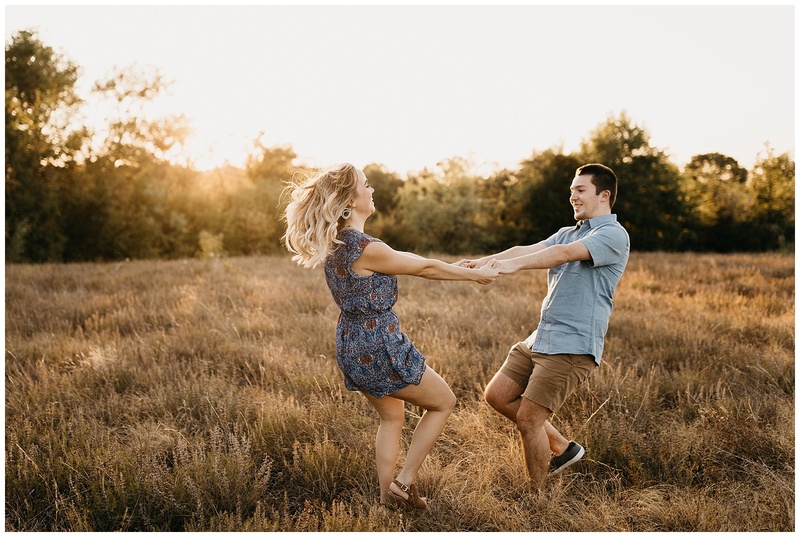 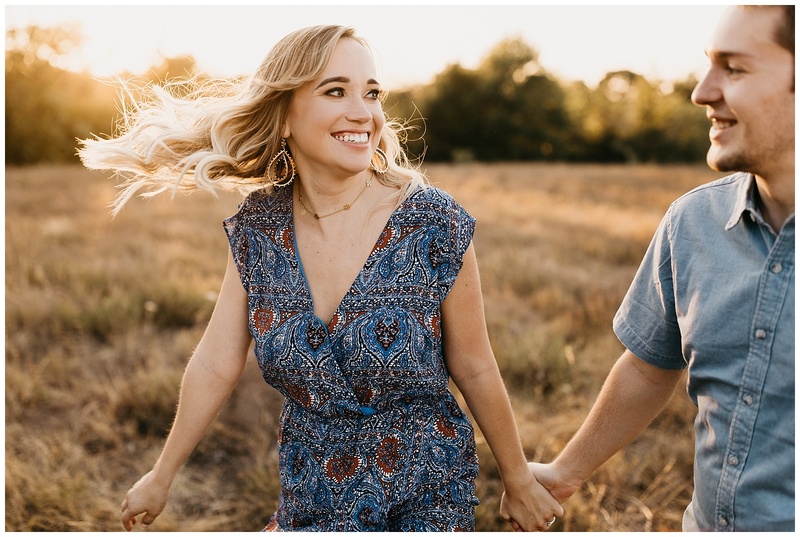 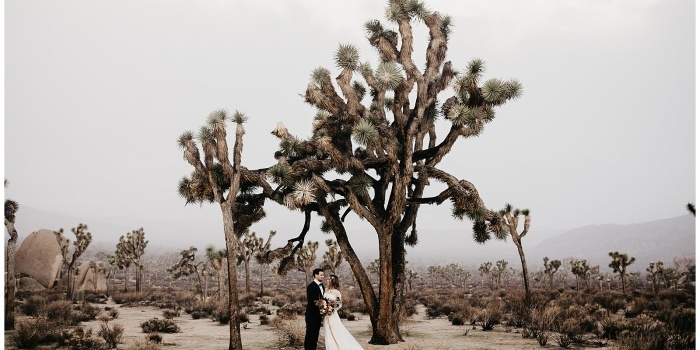 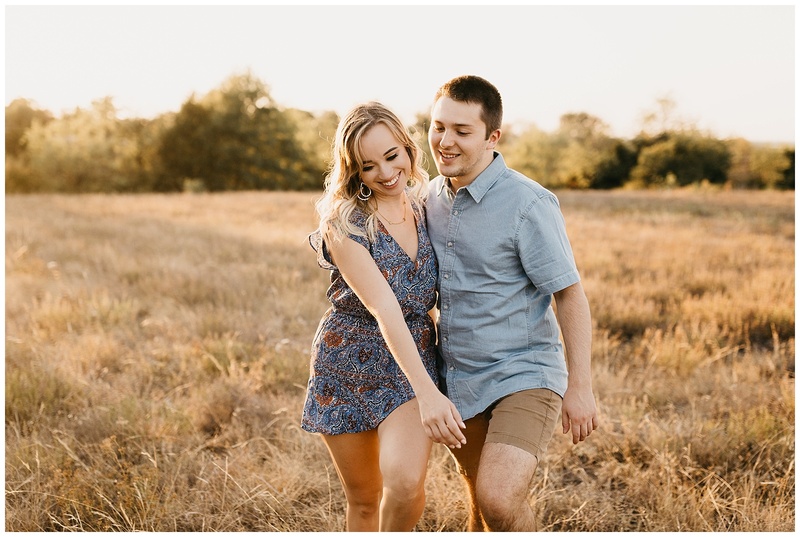 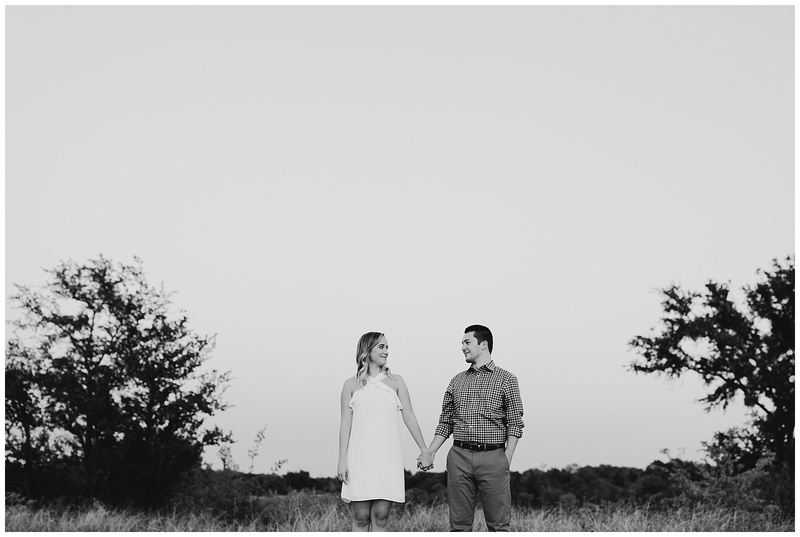 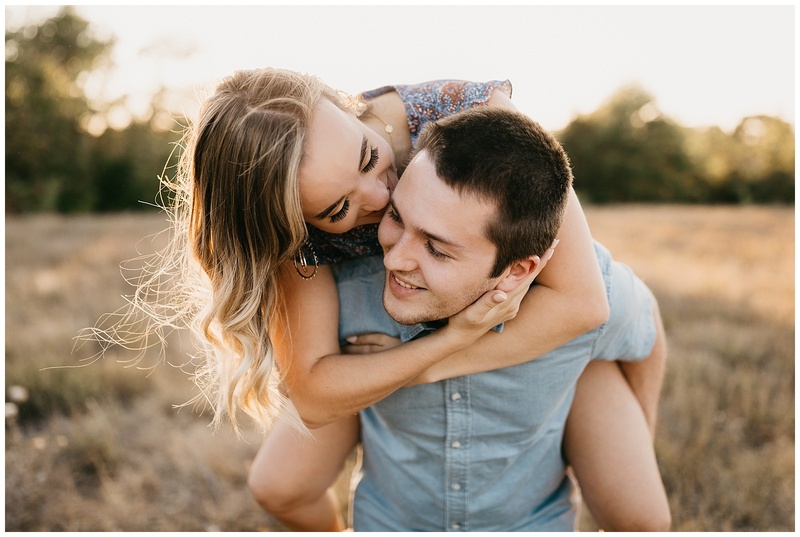 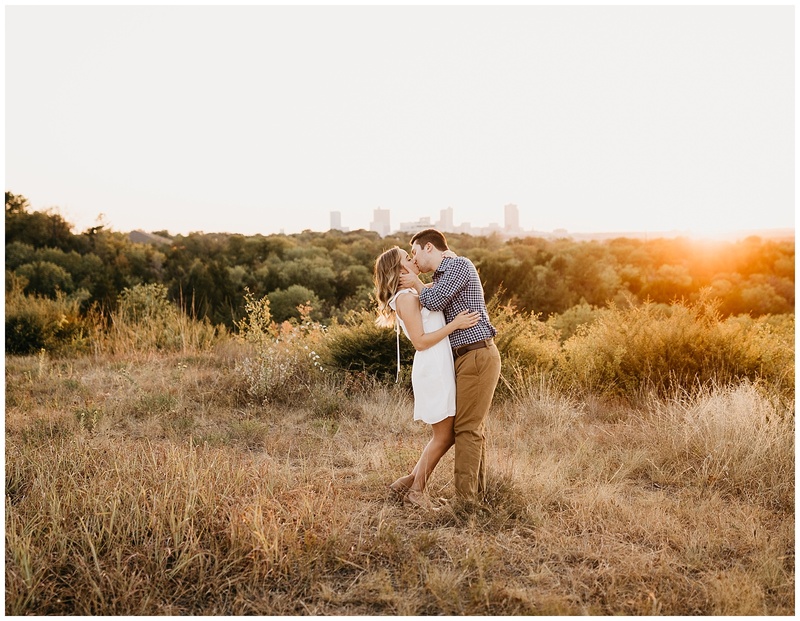 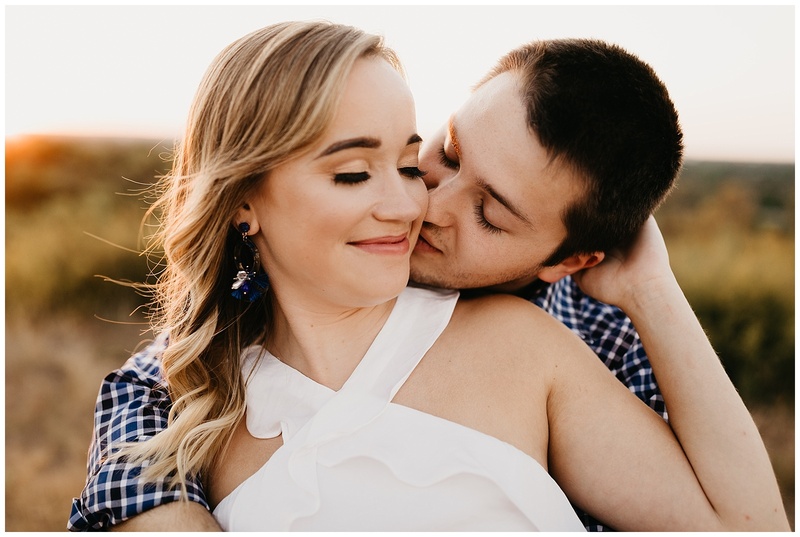 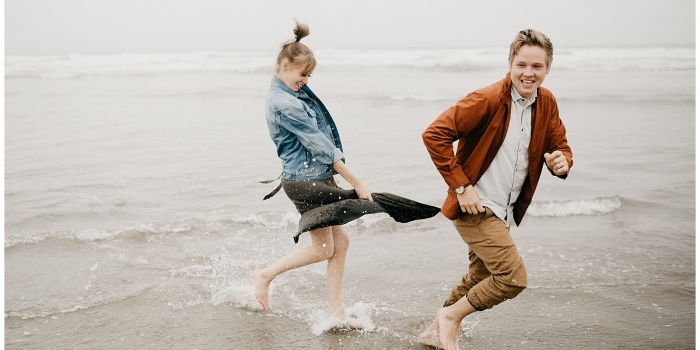 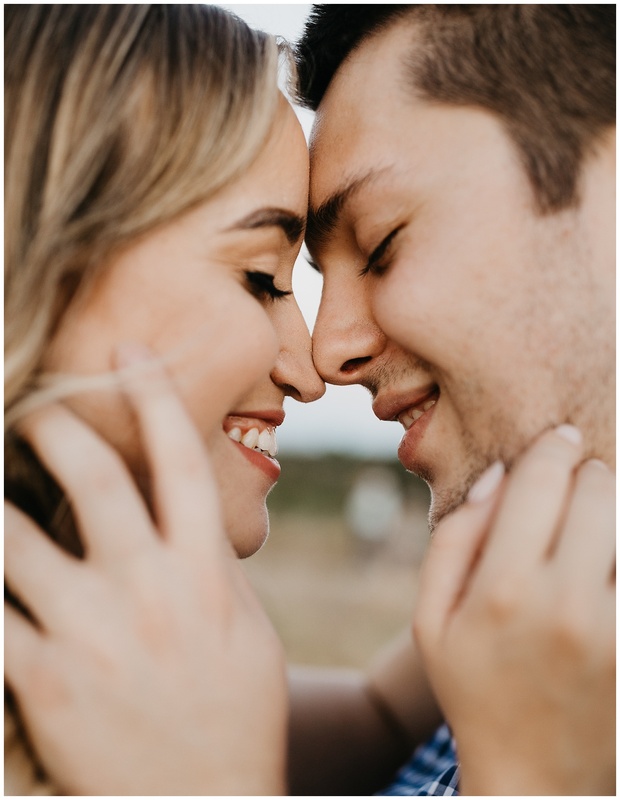 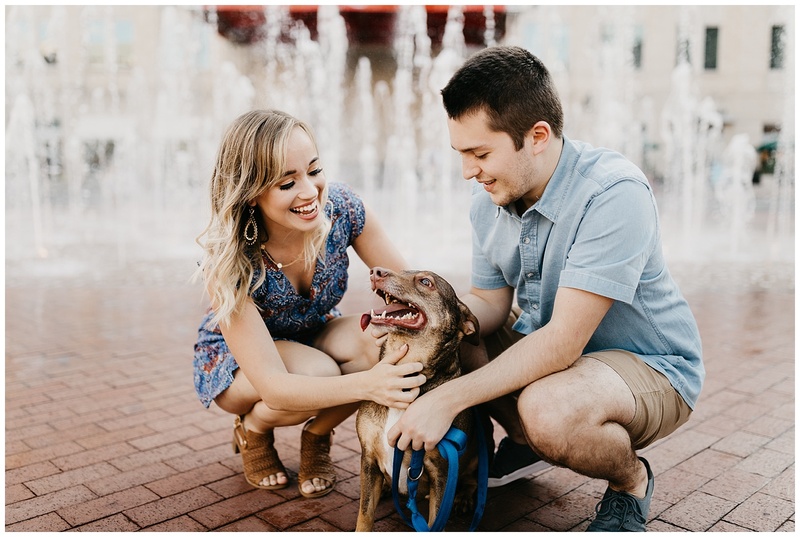 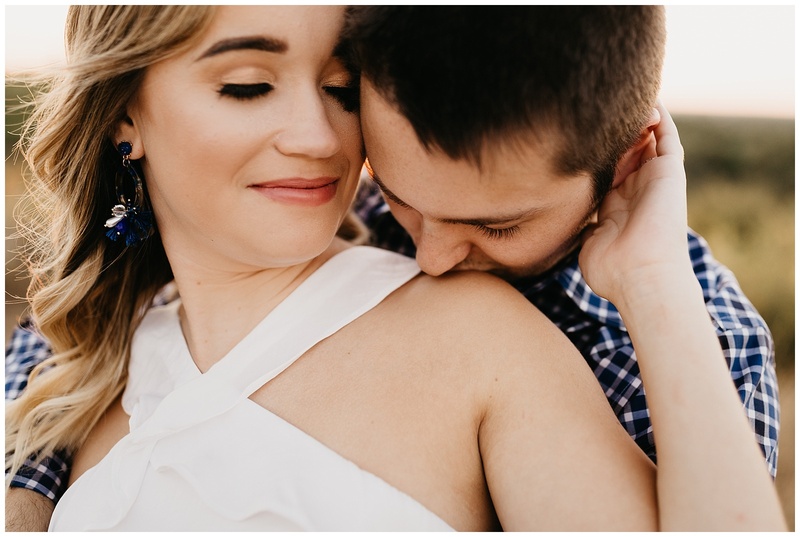 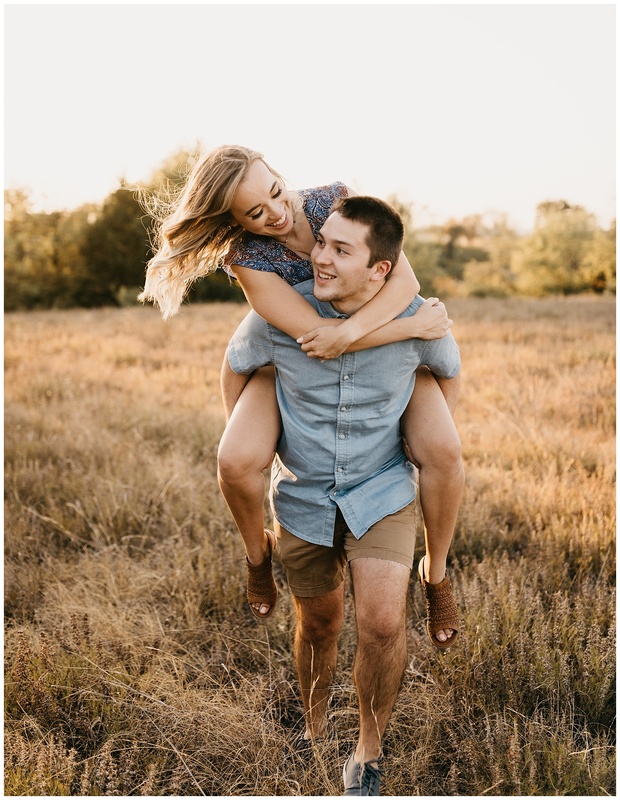 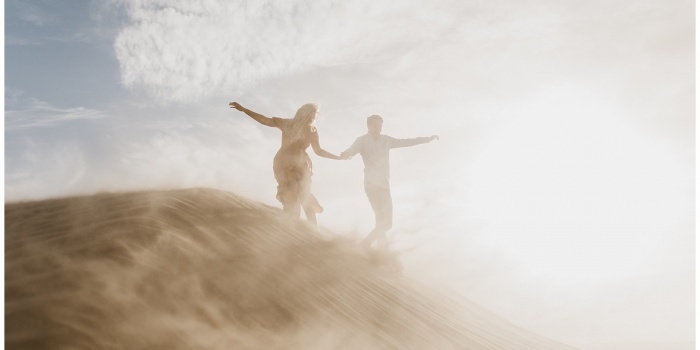 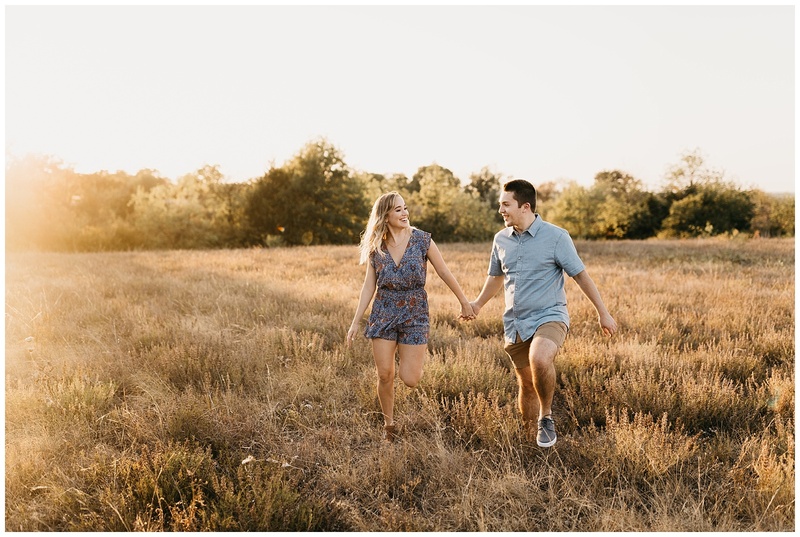 Thankfully Ellie and Jonathan are the cutest and most in-love ever which makes everything perfect (scratchy prairie included) and I cannot wait for their winter wedding in Texas later this year! 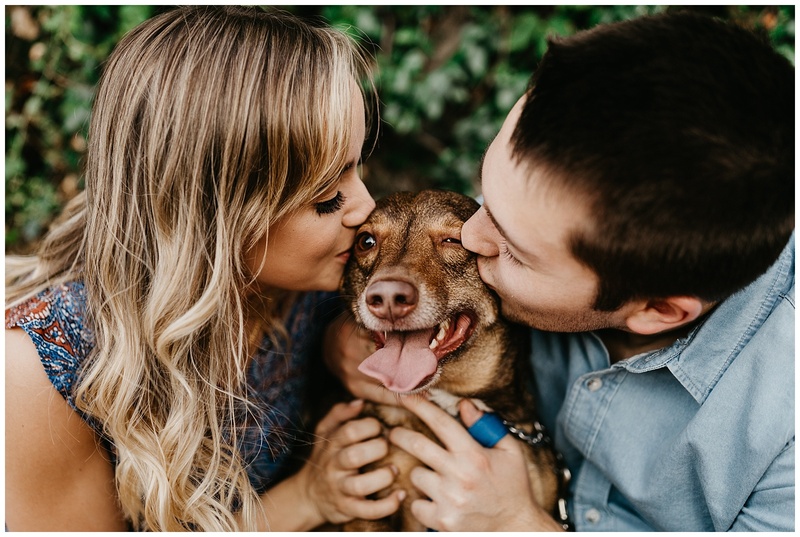 Scroll on for the cutest couple and even cuter moments featuring Samson the pup.